We’re looking to enhance our membership and we want to reward our members for helping us grow stronger together. 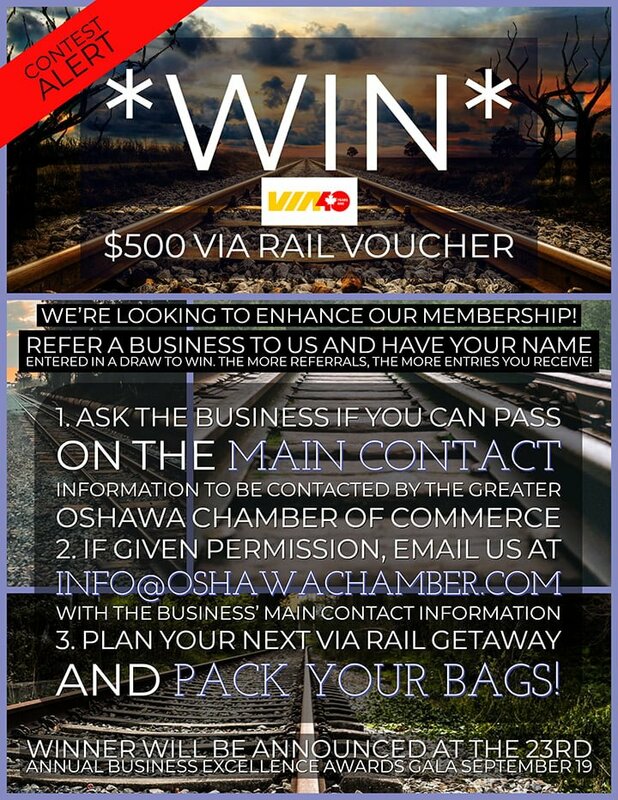 Refer a business to us and have your name entered in a draw to win. The more referrals, the more entries you receive! 3. Plan your next VIA Rail getaway and pack your bags! The winner will be announced at the 23rd Annual Business Excellence Awards Gala September 19.